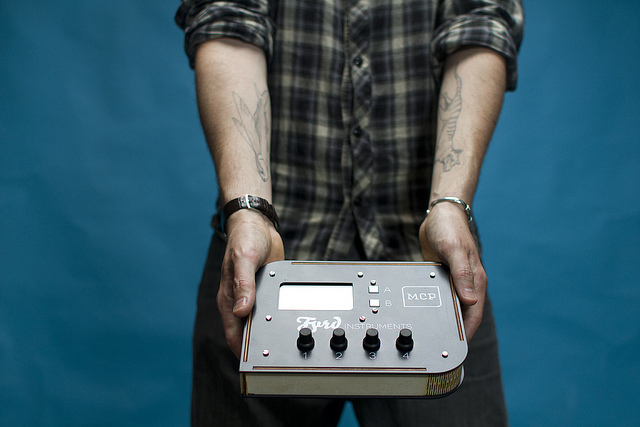 What if you just had a box that crunched MIDI data? The hardware itself looks lovely: 128×64-pixel LCD, four encoders with integrated switches, and simplified operation. It’s like a little, extra computer for MIDI. 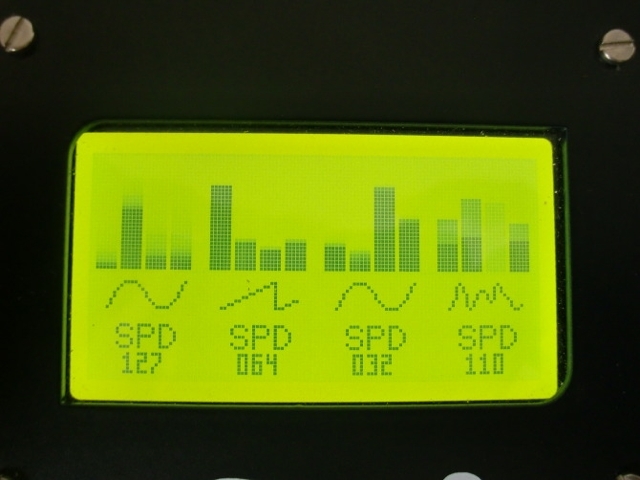 The first of two modules available so far is a “Harmonic Music Generator.” It’s a unique sequencer that automatically harmonizes patterns. I think the question about my background is the most difficult to answer… Briefly, I’ve a PhD in biology since 2010, I make music since my 6 years old (guitar first with some music theory and computer based music since my 18) and I am an electronic engineer/product designer/webmaster/etc since 2 years. I learn a lot about programming during my PhD. A lot of maths and statistics too. That’s helpful. But self-taught is what describe myself the better. My father, who is electronic engineer, helps a lot for the electronic part and I’m more into the programming: a true “family” business ! Friends are involved too: they mostly take the nice pics you’ve seen on Flickr. I work with photographers a lot as a musician since I lived in Arles (famous for his international photography festival and its photography school). The MCP is a very flexible (almost “modular”) MIDI box with great design and is build with solid and elegant material (laser-cut poplar and aluminum). We also take extra-care when manufacturing the devices and test all the unit one by one. 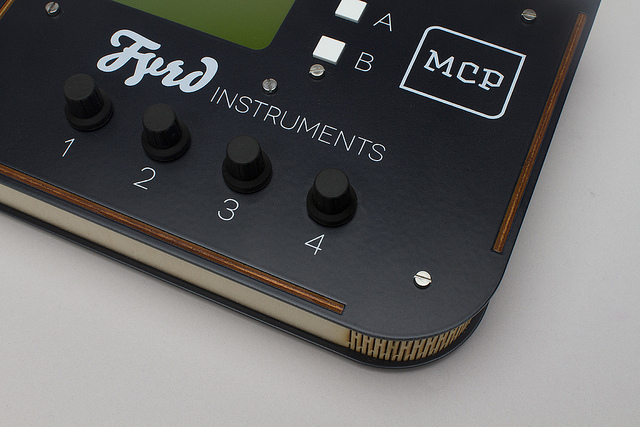 The MCP has been designed as a toolbox for making music with fun modules and will be open source (hard+soft). I hope it will become a platform for users to exchange their ideas/modules soon. Obviously, the number of controls as well as the variety of control types (lack of faders, pads, crossfaders, etc) are not among its strength… With the MCP, my goal was to be as closer as possible to the needs of computer based musician (as opposed to the instrumentalist). The workflow is more mind centered than centered around the manipulation of the MIDI device. Another strength of our product is the proximity I maintain with users: a lot of them ask for particular modification of module that I realize as fast as I can (one day usually). 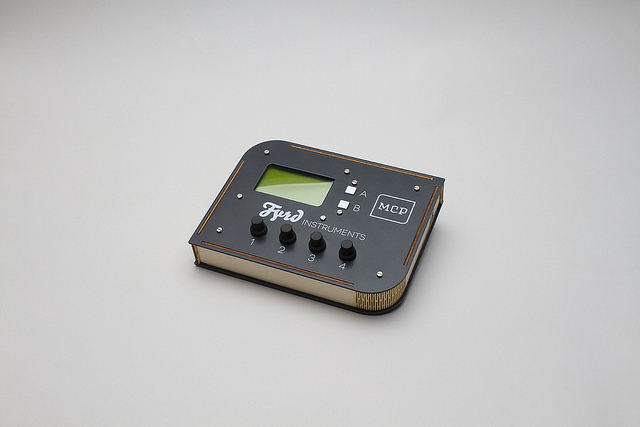 The first module we made, the Harmonic MIDI Generator, have been really appealing to people. I think it gives one possible answer to a problem a lot of “amateur” computer musician are facing: when in front of any DAW, we don’t know what to write on the musical score. The HMG module provides users with a sequencer that “harmonize” a bass line, a chords line and a melody line without focusing on tonal harmony rules, and allows users to focus on other tasks. We are also preparing an Euclidean Rhythms module too, you know the concept, but we will also merge it with the HMG module (great rhythmic AND harmonic fun !). 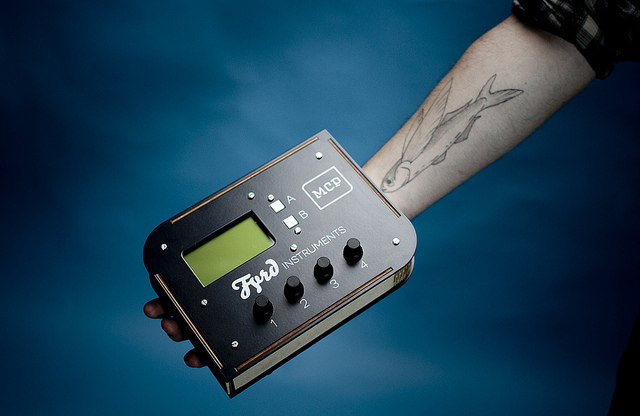 And it’s worth just checking out how the harmonic sequencer and LFO operate, for any MIDI geeks out there – some nice ideas and execution there.